Thank you for joining Create With Joy for our third Ultimate Blog Party – an annual event hosted by Susan and Janice at 5 Minutes For Mom! Whether this is your first or 50th visit to my blog, I’m so delighted you stopped by! I’d like to take this opportunity to tell you a little bit more about myself – my blog – and how to connect with me after the party! My name is Ramona and I am passionate about celebrating creativity and building community through blogging! Share your cherished memories and photos! Foster friendships while growing your blog! Art Journals, Mixed Media, Altered Art and more! Altered Tin that is perfect for housing Gift Cards! For readers of all ages! Life After Art – a fabulous book about Creativity, Faith, and Life. Be sure to enter before April 12, 2013 for a chance to win! Who would like to introduce yourself – please drop me a line! There is something for every taste bud! I invite you to explore my site! Thank you for stopping by – I hope you enjoyed your visit and today marks the beginning of a beautiful new friendship! Please take a moment to join my community and leave a comment so that I can welcome you and reciprocate! Have a wonderful week and I hope to see you at Inspire Me Monday, Wordless Wednesday, and Friendship Friday! The 2013 Ultimate Blog Party officially ends on Friday, April 12, 2013 and we’ve been asked to write about a few bloggers we’ve connected with throughout the party – but I’ve met so many wonderful bloggers and re-connected with so many old friends – how can I single out one or two? For me, in many ways, the party really begins afterwards, when the clock stops ticking and connections really have a chance to bloom. The links remain open all year and I enjoy visiting throughout and really taking time to savor each visit to the fullest! I DO want to single out Janice and Susan – our hostesses – for hosting this awesome event each year. Here’s to friendship and connections in the blogosphere! I’m a new follower from Deezy Does it! Thanks for stopping by Beverly – early birds rock! Look forward to checking out your business blog! Yay- for the blog hop! Has it begun? I better go link! Hugs to those gorgeous boys of yours…purrs from Ashley and Aurora! So good to see you Dawn! Posting early to avoid the craziness – the links don’t open for a few hours – hugs to your girls – will look for your post in a bit! Tweet grid. Okay, checking that out now. Thanks! Lisa, you are SO awesome – so glad you stopped by! Hope you enjoy your first Ultimate Blog Party! Your blog looks lovely…. just popping in from UBP13!! 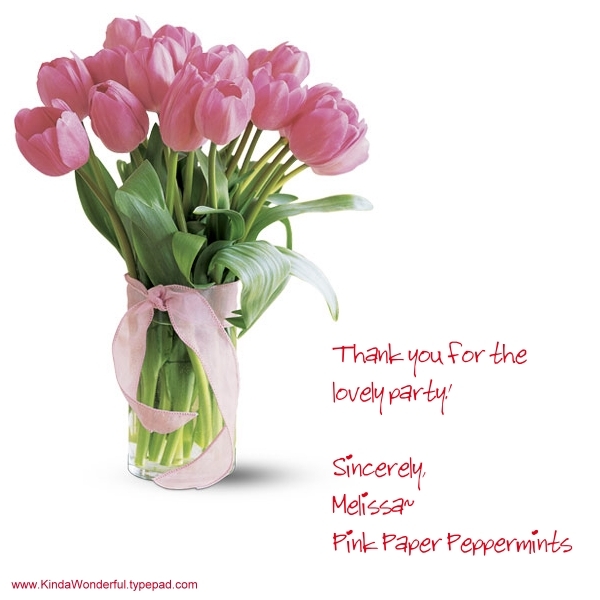 Thank you so much – your blog is bright and lovely too! It’s great to meet you, Ramona! I’m looking forward to following your posts. Welcome Christina – I’m delighted to meet you! Hope you will share your talents with us at Inspire Me Monday! Wow..getting hungry just looking at those recipes, if you read my blog you will see I don’t have your skills in the kitchen ! I’m happy to party with you, looks like you have lots of fabulous things going on here each week. Jody, that cake was fabulous! Enjoyed connecting with you tonight at the informal #UBP13 party! I love your blog.. it has a great essenece of community..
Elisa, thanks so much for following – can’t wait to get to know you! So nice to meet you, and I am popping in from the UBP! Hope you enjoy the week of partying. Thanks for stopping by Hollie – hope you are enjoying the party! Visiting from UBP13 It’s so nice to run across another crafty mixed media artist. I haven’t had a chance to make any art in a couple of years since I started my food blog. Your atc’s and tag’s make me want to pull out my craft supplies and get crafty! Have a fabulous UBP13 and I hope to chat with you more this week! Beautiful blog you have here Ramona. STopping by from the UBP! Thanks so much for visiting Alyssa – hope you’re enjoying the party! Thank you so much Amy – I am so delighted you stopped by! Look forward to getting to know you – hope you’ll join in some of our events! 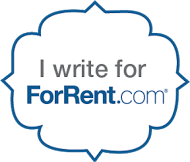 Hello again dear blogging friend! I just linked up my UPB13 post and first time participating. Great to see you! I come for the party ^___*. I enjoy reading your post. Lovely blog you have. Nice to “meet” you. Thanks for stopping by Juliana – I am delighted to meet you! Look forward to visiting you and your blog! What fun to run into online friends at the Ultimate Blog Party 2013. I always enjoy my visits here and with that delish dessert you have and those adorable kitties, this is no exception. Have a grand week and thanks for the fun visit. What fun to run into online friends at the Ultimate Blog Party 2013. I always enjoy my visits here and with that delish dessert you have and those adorable kitties, this is no exception. Have a grand week and thanks for the lovely visit. ps. I love reading, too. Hello, there! We’ve seen each other around, mainly through the Biannual Blogathon. It’s good to see you here, too! Enjoy the UBP! Hi Jen, good to see you again! I host weekly events – hope you’ll join a few, would love to see you more often! Popping in to wish you a great time at the party! I always love stopping in your blog! Thanks so much for stopping by – I love visiting you too! Hi Ramona, popping in from the UBP! We are crafty, kindred spirits for sure! I subscribed so I won’t forget to come back and look at all your pretty crafts. PS I brought you a little hostess gift! Delighted to meet you too Melissa! I know that I will fall in love with your blog. See you soon! You are so sweet Jenni! I look forward to getting to konw you! I’m delighted you stopped by Linda! Have a great week and a fun time partying! Leah, we are all creative! 🙂 I am hosting a giveaway for a book called Life After Art. I hope you’ll enter – it is about that very topic! I am stopping by from the UBP13. You have a beautiful blog. I am following you via Facebook. I look forward to getting to know you better. We seem to have a lot in common. So delighted to meet you Jen – thanks for the FB follow – just visited your lovely blog as well. Stopping by from the UBP! I love how organized the site looks. =) I’m always looking for organizational ideas so I’ll be sure to stop by again! Thanks Samantha – I look forward to getting to know you and hope you’ll join us for our weekly events after #UBP13! Thank you so much for linking up with the Mixer again this week! It’s not my first time to your blog but this was such a nice summary of it! I hope you have a blast with the UBP!!! Thanks Janene – have a great weekend! Dropping by from UBP13. Love your cats! We have a zoo over here, 2 adopted cats, a Blue & Gold Macaw and turtle. Used to have a Basset Hound too. Thanks for stopping by Angie – your place sounds fun! Hope you get a chance to come by and say hi. Hope you’ll join us after the party for some of our weekly events! You’ve got so much great stuff going on here… it’s fantastic! Thank you for joining the party! This is my 6th year with UBP. It’s great to visit new bloggers, as well as my old blog friends. I really enjoy reading the reason(s) that one starts blogging. Sounds like you have a busy and terrific life. I hope you’re having fun at the party! Just found out that I hadn’t ‘liked’ you yet on fb – done now! And everywhere else I have an account, too. Let’s party!! Have fun partying with UBP13 and I’ll see you soon! Dropping by from UBP13. Love your site! Looking forward to joining your hops!! Look forward to seeing you at them! So nice to meet you through the UBP! Excited to party with you! Same here Mel! Come join us at one of our events so we can keep the party going! Nice to meet you 🙂 Popping in from the UBP13 hop! You have so much going on – those linky look like a lot of fun. I hope to join in on one or more of them soon! Aurie, I’m delighted to meet you! Have a fun week… so glad to have found your blog. Anne, I’m SO glad you stopped by – I KNOW you’re creative – we just all express our creativity in different ways! Check out the Life After Art Giveaway I”m currently hosting – that books speaks to that very topic! I look forward to getting to know you better and connecting with you again soon! Hi Ramona! I found out I’m already following via twitter, I will have to stalk you elsewhere – enjoy the party. Enjoy the party & I’ll catch up with you soon! I’m SO delighted to connect with you on Goodreads! I’ve met some wonderful bloggers from Croatia over the years! Look forward to getting to know you Rosalind! Stopping by from UBP13. What a fun site. Nice to meet you! Delighted to meet you Elizabeth! Hi! I’m a new follower from Deezy’s Pimpin Showcase. 🙂 I’m loving your blog and can’t wait to explore it! I’m so delighted to meet you Christy! You have some wonderful crafts on your blog! I hope you’ll join us for Inspire Me Monday! Hiya from the blog party. Great to see you encouraging creativity. I think its one of the most important concepts kids can develop and my blog is devoted to that. See you around. So glad you stopped by. Your blog is awesome! Hi, I’m a new follower of your blog! I found you on UBP13! Your blog is adorable and we definitely have alot in common! Please come by and follow me on my new blog http://mybutterflyhaus.blogspot.com/! Have a blessed day! Welcome Elizabeth – I’m delighted to meet you through UBP13! Please join us for Inspire Me Monday and share your talents with us! Thanks for being in the hop I enjoyed looking around. Have a nice week. Ramona, I have already been here before for Inspire Me Monday but glad to come back by in the UBP13 hop. I always love coming to your blog, due to there is always something new to see. It’s such a creative site. Thanks Maggie – your presence always makes me smile! What a gorgeous blog, Ramona! I’m always in awe of super creative people like yourself. It’s helps the rest of us out that you share your fantastic creations. I’m following you about everywhere I could find (twitter, facebook, google+, rss…). Thanks so much for dropping by from UBP13! Thank you so much Michael – I appreciate your sweet comment!